An introduction to one of the most outstanding Americans of the twentieth century, perfect for young readers. Born in 1929, Martin Luther King, Jr. grew up to become a civil rights leader whose philosophy and practice of nonviolent civil disobedience helped African Americans win many battles for equal rights. Young readers will learn how his interest in equality was sparked by experiences in his childhood, and how his legacy shaped modern America. Pairing detailed illustrations and an accessible narrative of Dr. King's life, this book is ideal for a discussion about the history behind the holiday, or an early introduction to the struggle for civil rights in America. Includes a timeline of important dates. For almost thirty years, David Adler’s Picture Book Biography series has profiled famous people who changed the world. Colorful, kid-friendly illustrations combine with Adler’s “expert mixtures of facts and personality” (Booklist) to introduce young readers to history through compelling biographies of presidents, heroes, inventors, explorers, and adventurers. These books are ideal for first and second graders interested in history or who need reliable sources for school book reports. David A. Adler is the author of many popular books for children, including biographies, math books, and Judaica. His strong interest in history and biography led to his bestselling Picture Book Biography series. He lives in New York State with his wife and family. 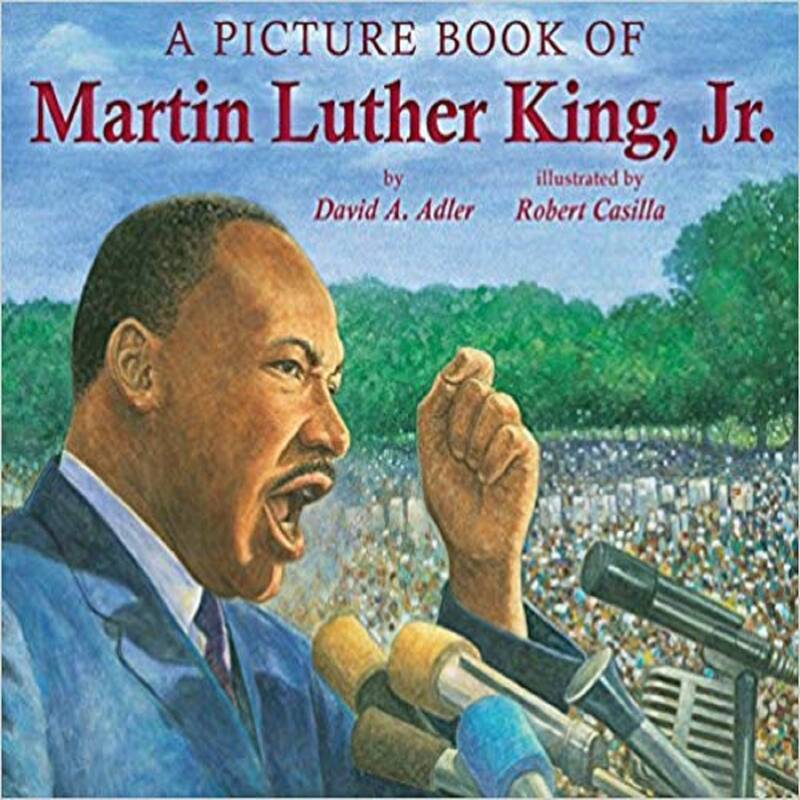 Robert Casilla is the illustrator of several titles in David A. Adler's Picture Book Biography series, with subjects that include Martin Luther King, Jr., Rosa Parks, Eleanor Roosevelt, and Jesse Owens. He lives in Connecticut.